If you have ever attended a wedding in a culture removed from that of your own you may have already experienced at least a few different wedding customs, superstitions and good luck practises. From the bride throwing the bouquet to being spit on by your future father in law after saying your vows, we have rounded up an (in no way definitive!) list of marriage tradition from all over the world. As different as they all might be, one thing remains constant to bind them all together: love. Perhaps the most perplexing of the traditions we’ve uncovered; Congolese brides and grooms-to-be are forbidden to smile throughout the entirety of their Big Day. From the ceremony to reception, the couple must keep any evidence of happiness or excitement in check as cracking a smile, under Congolese tradition, may hint that the newlyweds aren’t serious about their new union. In times gone by, Italian grooms and brides-to-be made their way to the chapel on foot. In some regions it was considered bad luck for the groom to turn around once he stepped foot outside his house on his wedding day. Tradition dictated that the man’s groomsmen accompany him to the chapel just in case he forgot anything & someone had to run back on his behalf! It is also common to find sugar covered almonds at an Italian wedding. The delicious sweets are meant to represent both the sweet and sour parts of life. As well as being eaten, they used to also be tossed at the newlyweds as they made their exit from the church! 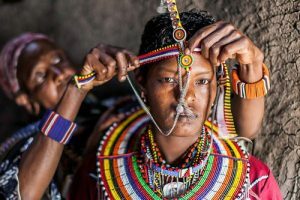 Kenyan wedding traditions differ hugely from those held in the West. Brides in the Masai tribe in Kenya prepare for their big day by having their head shaved. Lamb fat and oil is then applied to her scalp! The bride’s father will then wish his daughter good luck by spitting on her. After the marriage, the father of the bride will then also spit on his son-in-law to wish him the same. The Masai bride will then leave with her husband, being sure to avoid looking back for fear of turning into stone! As she leaves, members of the groom’s family will insult her in order to help chase away bad fortune and bad spirits. The experience must undoubtedly be a frightening one for the young bride, aged only between 13-16 years old. Picking the date of your big day is an integral part of the marriage process in China. Picking the wrong date has been believed to spell doom for the new couple, while picking the correct date is thought to bring years of fortune and happiness to the newlyweds. When choosing a date, the couple will usually consult a Chinese monk, fortune-teller or Chinese calendar to ensure their big day falls on a day of fortune. The date is largely determined by the bride’s birthday. 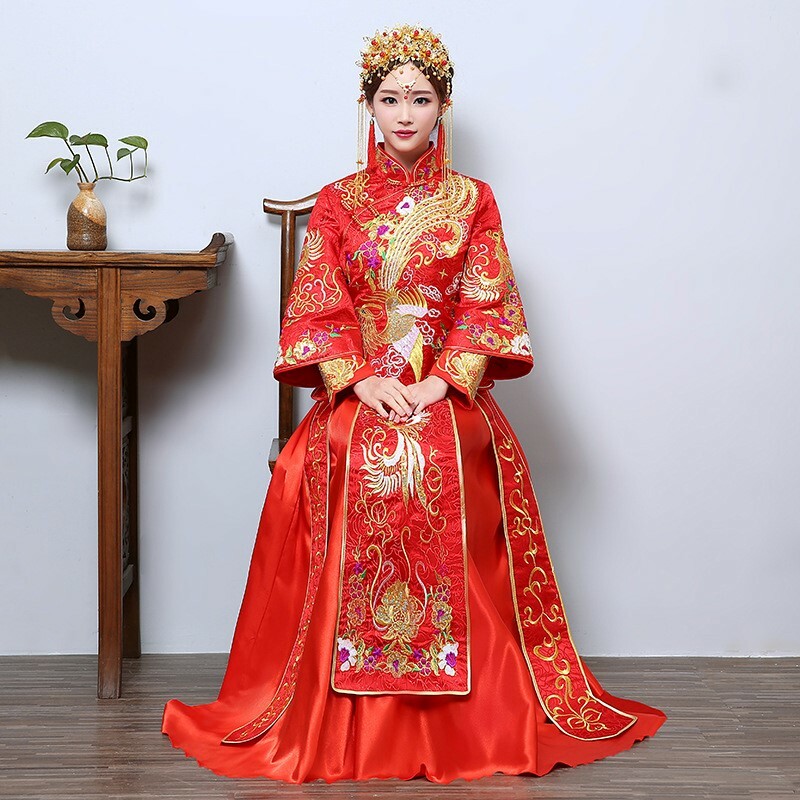 For centuries, the bride wore the traditional qipao; a long red silk robe with intricate gold embroidery. For the reception, the bride will usually then change into a white, more Western poofy gown. This is 2/3 of the outfit changes as the bride might then even change into an evening cocktail dress! This entry was posted in Featured, Weddings and tagged love, wedding traditions.